The secret to great skin isn't locked in an expensive designer bottle. These simple skincare routine changes will give your skin an extra boost day-to-day, and don't cost the earth either. Hurray! If you’re going to splash out on one beauty product, make it a skin brush! As well as boosting circulation, it cleanses far deeper than applying a cleanser with your fingers. 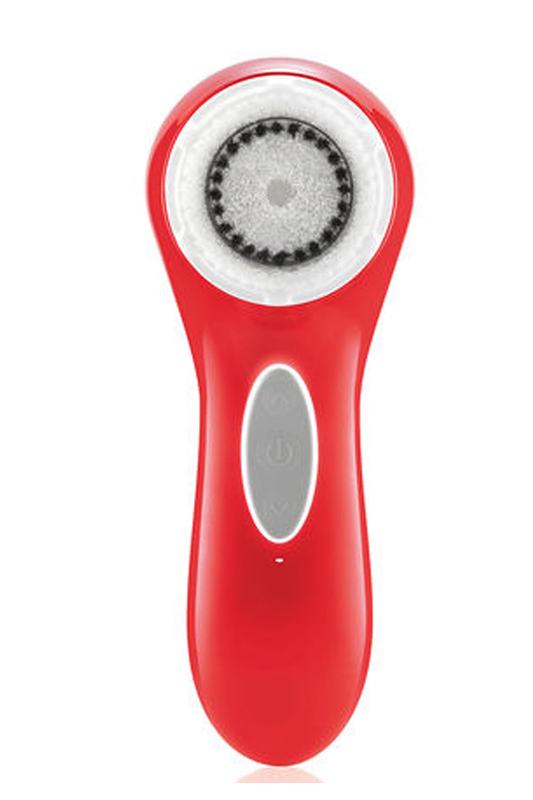 We love Clarisonic Aria Red Keith Haring Cleanser, £155. For decades cream cleansers have been the beauty industry’s top choice for wiping away the day and cleaning your skin. However, for those wanting to keep wrinkles at bay, there is a new way to cleanse that is far better for your skin. By swapping cream for oil, you’re actually putting moisture back into your skin while removing make up, win win! Beauty insiders are raving about Elemis’ latest cleanser, the Nourishing Omega Rich Cleansing Oil, £29.50, which is packed full of essential oils to tackle fine lines and problem skin, as well as protect it from the elements. And it smells divine, too! Did you know your moisturiser doesn’t actually add moisture to the skin? It traps existing water and stops it from evaporating! Make sure you moisturise within the first 3 minutes after washing to keep your skin fully hydrated. Rosewater comes top of the list for getting a youthful glow with its hydrating and revitalising properties. Spray throughout the day to lock in moisture. 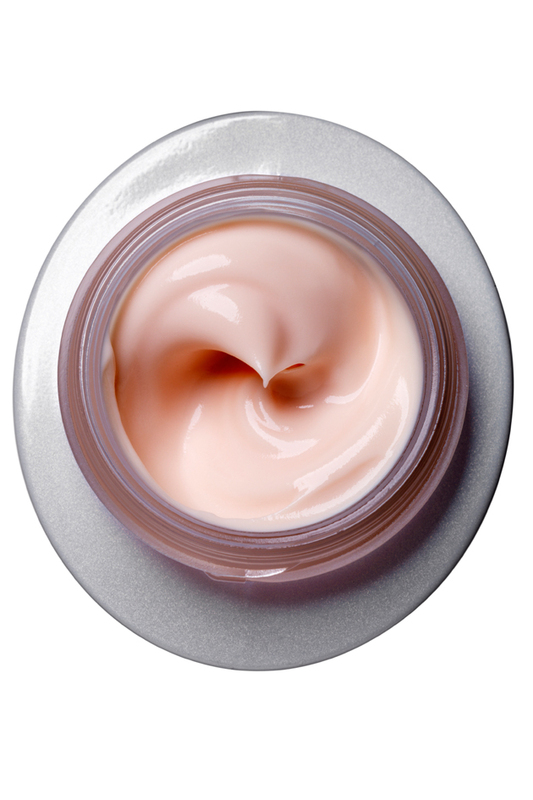 Apply Copper Peptides solution under your moisturiser if you want to reduce scarring. Since the 70s these have been instrumental in healing wounds and improving scar tissue. Get creative in the kitchen by combining oats and natural yoghurt for a smoothing mask that will hydrate dry skin. Oats are great for soothing skin conditions such as eczema. This herbal cuppa is dubbed a miracle worker by millions for its endless health benefits, and we’re jumping on the bandwagon! Drinking just a few cups a day helps soothe irritated skin and fight imperfections. Lips are often a part of the face that shows tell-tale signs of ageing first, so make sure you look after yours! Use Prevasore, £6.95, daily to stop dry winter lips and keep them super soft! Your skin has very different needs at each time of the year, so change up your products accordingly! In the summer, use products that will keep shine at bay and let your skin breathe, and save heavier, more deeply moisturising products for the winter. Yes, we know you’ve heard this one before, but we really can’t stress how important it is to make sure your moisturiser and make-up contains SPF. Exfoliating your skin too often is a big no no. Being too harsh on your skin will dry it out and cause redness. 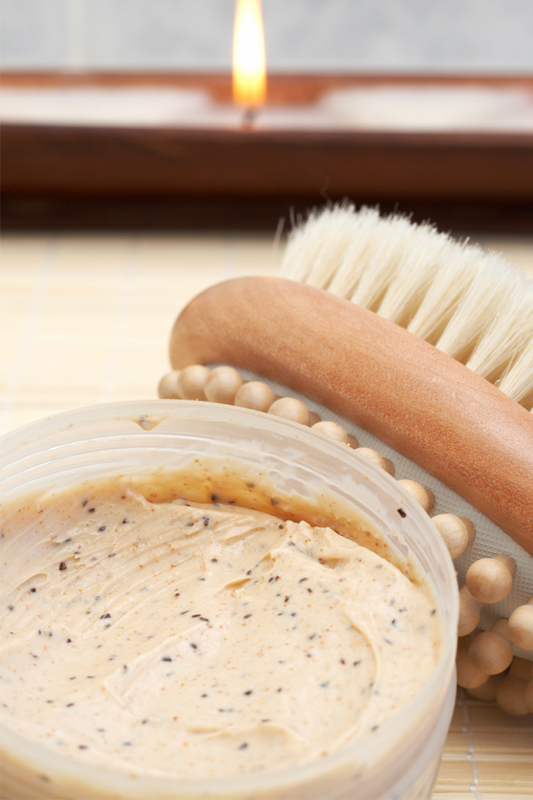 Stick to giving it a good scrub once a week with a gentle exfoliating cream and skin bush – that’s all you need! The ‘new coconut oil’ cleverly tricking the skin into producing less oil for fantastic matte results! It works great as a serum underneath your daily moisturiser, as well as a gentle facial and eye-make up remover. Using a textured cloth with your usual cleanser will give your skin a deeper clean, gently polishing for a brighter, more radiant complexion. Their dark colour indicates high levels of antioxidants, which are brilliant for your complexion. Eat them with greek yoghurt for a beauty boosting low fat snack! Make facial oil a daily staple for your skin. Massage a good quality oil (we recommend rose, coconut or jojoba!) into your skin before bed in circular motions. This will improve circulation, as well as giving it a deep-moisturising treat. 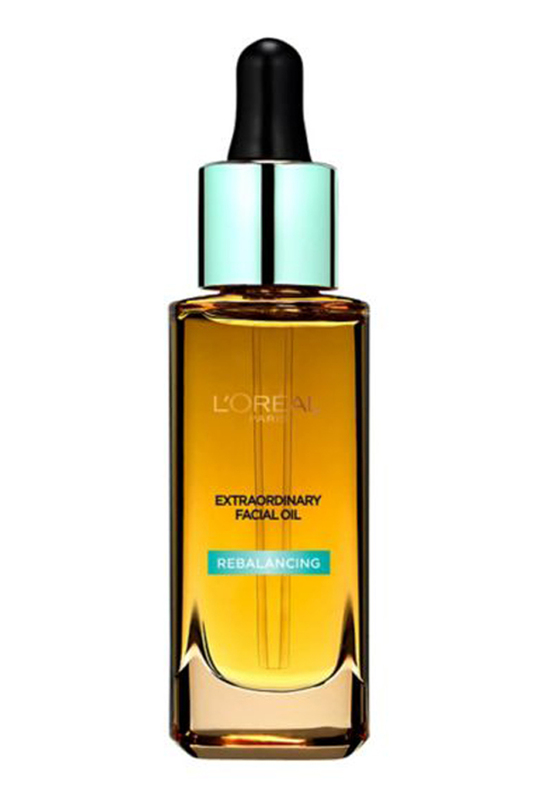 Try L’Oreal Paris Extraordinary Rebalancing Facial Oil, £19.99. Squinting at your phone and constantly exposing yourself to a harsh light isn’t exactly a wrinkle preventer. Plus, playing on your phone late at night wrecks havoc with your sleeping patterns, and we all know you need those zzzzs to boost your skin (and hair, and nails, and state of mind… Just basically get your 8 hours!) Read a book and relax… no phones after 10pm! Invest in a moisturiser or serum with added Vitamin C, it’s a must-have skin hero brilliant for maintaining moisture, wards off signs of aging and helps renew the skin. Don’t forget to get it into your diet too. 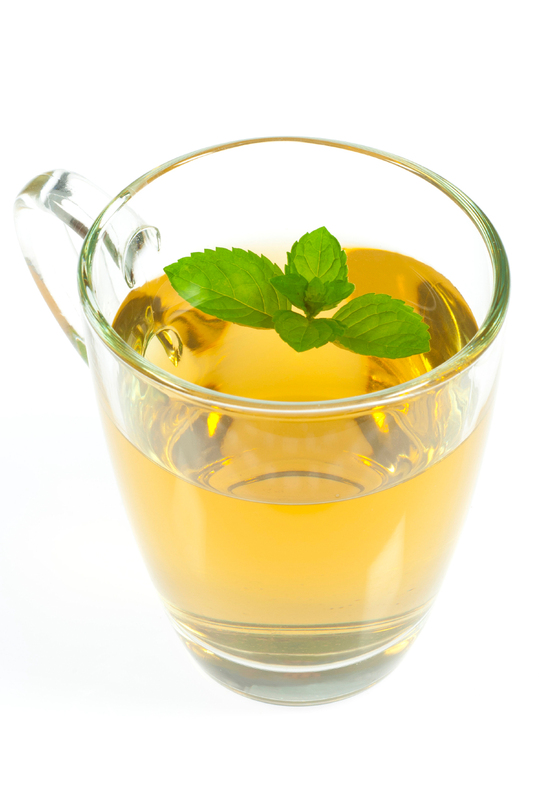 Peppermint tea is full of anti-oxidants that can help to clear your skin. Try drinking a cup before bed each night and you’ll soon see the difference! Fresh-smelling mint is full of antibacterial properties, meaning it’s great for treating spots. Add mint leaves to boiling water and dab on blemishes with a cotton pad for some skin-clearing action. Sip on a delicious mint tea daily to keep spots at bay, too! Dig out your Witch Hazel. It’s the beauty secret we’ve all heard of, but rightly so! This bathroom cupboard hero is everything in one – make-up remover, toner, redness reducer and balancer! Apply with cotton pads to sooth skin after a long day. You’re going to like this one! 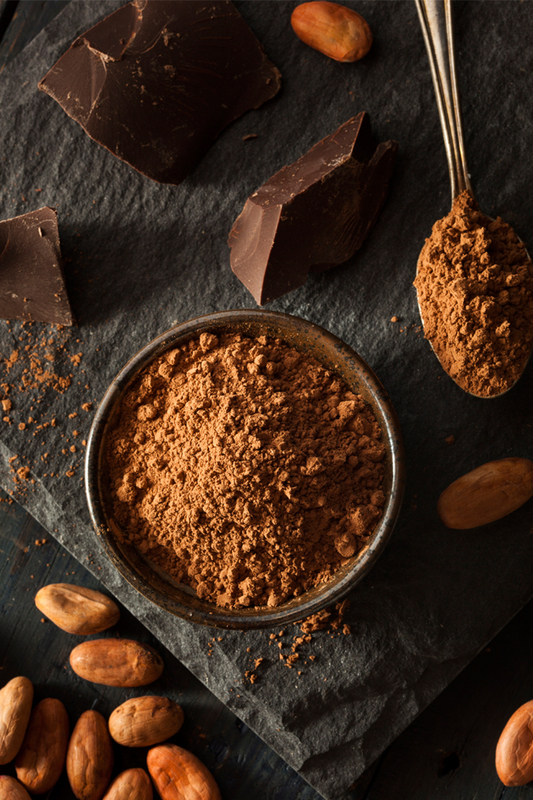 Dark chocolate is bursting with antioxidants, which help firm and repair your skin. A couple of pieces a day will do you good. Hurray! Dermatologists advise just one daily face wash in the evening to remove make-up and other daily pollutants that have collected on the skin. Over-washing can dry out the skin. Instead used an oil-based cleanser in the morning. Combining these this cupboard staple works a dream on both oily and sensitive skins. It gently exfoliate the skin, opening up the pores and allowing the lemon’s natural antiseptic properties to remove dirt and bacteria from the skin. After cleansing, apply a serum to your skin before your usual moisturiser. Get one with a high concentration of antioxidants and age-defying ingredients, like rose oil, vitamin C and glycolic acid. Salt’s course texture is ideal for buffing away hard, dry skin and its antiseptic qualities also kill off bacteria and prevent inflammation. Just add a tablespoon of sea salt to 450 ml of warm water, apply to the skin and watch it work its magic reducing acne, age spots, and wrinkles. Forget eat your greens, get some red on your plate! 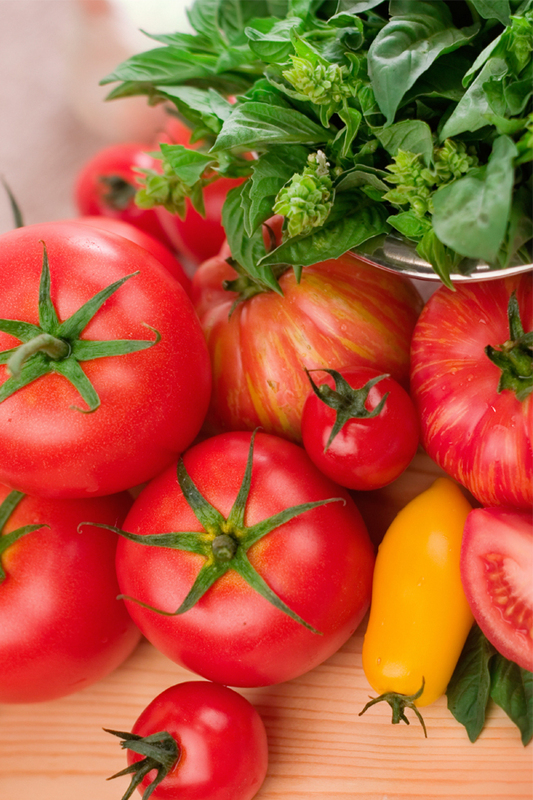 A diet rich in tomatoes improves your skin’s elasticity. Lycopene is more prominent in cooked tomatoes, so roast up a feast for your skin! Swap your usual moisturiser for an anti-bacterial one. Using an anti-bacterial moisturiser like Lotli Original Cream, £6.29, will give your skin an extra boost for fighting oil and breakouts, as well as keeping skin soft and supple. We all know sugar is bad, especially when it comes to your skin! Eating too much can cause breakouts, mood swings and headaches. Try replacing those empty calories with raw honey or another natural substitute and feel healthier and more radiant! 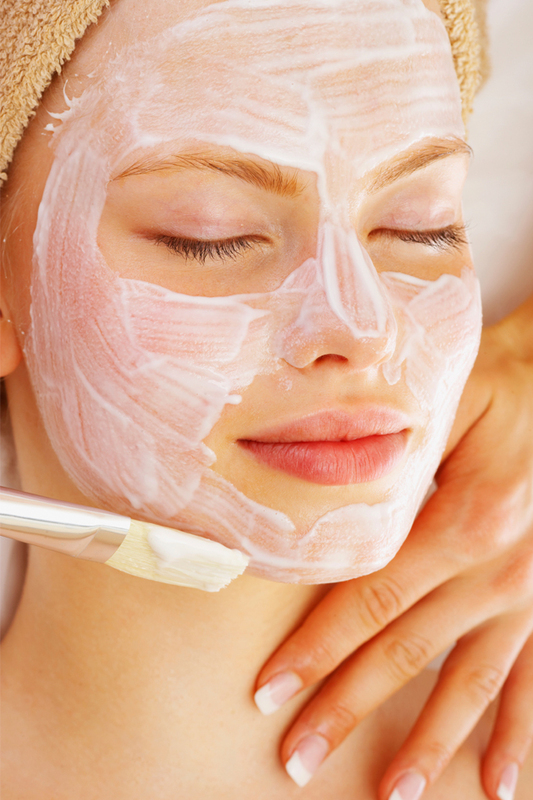 Nightly facial massages will help boost circulation and fight toxins. A massage a day keeps the wrinkles away! If a problem occurs, don’t just keep doing the same thing. Change up your routine, or try a specifically targeted problem to deal with your skincare issue. If necessary, schedule a consultation with a trusted skin-care professional. Whatever you do, don’t ignore it!